I have for you A Guide To Different Types Of Meditation And Their Benefits. First, let us know what is meditation? Meditation is that technique in Yoga, through which we are able to view our problems in proper perspective. Through this technique, we are able to realize that our disappointments, our unhappiness, and other problems are internal, self-made. Through meditation, we learn to discover our inner self, to achieve inner harmony. There are many reasons why people meditate. Some do it for spiritual gains, some simply want to relax, while others are interested in the benefits of meditation for health and general well-being. The effectiveness of meditation mainly comes from deep relaxation. Research suggests that meditation has a lot more to offer than just relaxation. Mindfulness means maintaining an awareness of the thoughts, feelings, bodily sensations, and surrounding environment of the present moment. All mindfulness techniques are a form of meditation. Instead of dwelling on the past or worrying about the future, mindfulness encourages awareness of a person’s existing surroundings. Mindfulness meditation is something people can do almost anywhere. While waiting in a line, for example, a person might calmly become aware of his surroundings, the sights, sounds, and even the smells that he might experience. Since the mindfulness is such kind of practice, which is common to many forms of meditation, it has been extensively studied. Such a meditation helps improve memory power and concentration. Mindfulness Meditation also helps the practitioner control impulsive emotional reactions. This form of meditation is very good for all stress-related ailments. Progressive muscle relaxation is also called body scan meditation and is a form of mindfulness meditation only. In this form of meditation, a practitioner is encouraged to scan his body, locate the areas of tension and allow the same to release. The practitioner starts scanning his body from one end, generally big toe of his feet, and work through the whole body. Other forms of progressive relaxation require people to tense and then relax the individual muscles of the body one by one. Others encourage a person to visualize a wave, drifting over their body to release tension. This relaxation can best be used by people for sleep. Progressive relaxation is also used in a general Yoga Session, to relax after different asanas and Pranayamas. This relaxation helps to promote feelings of calmness. It also helps a practitioner in relieving him of chronic pain. Breath awareness is also a type of mindful meditation which encourages mindful breathing. In this form of meditation, the practitioner is first asked to become aware of his natural and spontaneous breath. Then he is asked either to breathe slowly and deeply, or count his breaths or otherwise simply focus on his natural breath. The goal is to focus only on breathing and thereby ignoring all other thoughts. Breathing awareness meditation is a very simple way of relaxing mind. Being a type of mindful meditation, this meditation helps improve memory power and concentration. Breathing awareness meditation provides the practitioner with a great emotional flexibility. Loving-kindness meditation is also known as Metta Bhavana. In the Metta Bhavana practice, the practitioner is cultivating love, or friendliness, or loving-kindness. Its aim is to develop the emotional warmth that will embrace any sentient being that the practitioner becomes aware of. Loving-kindness meditation promotes feelings of compassion and love, both for others and oneself. It increases positive emotions & decreases negative emotions. Loving-kindness meditation reduces migraine pain. This meditation purifies oneself filling in him a universal love for all. It can help those affected by anger, frustration, interpersonal conflict, anxiety, and depression. Kundalini Yoga Meditation has roots in both Buddhist and Hindu teachings. This form of meditation blends physical movements with deep breathing and mantras. People for this Meditation are best guided by their Masters, as a Master is in the best position to know the needs of his disciple, as what movement, or what mantra and the span of meditation will suit him best. It reduces anxiety levels and helps to alleviate depression. This form of Yoga increases energy levels in the body. It improves overall mental health. Zen meditation, also called Zazen is a form of meditation that involves specific steps and postures. Zazen is the base of Zen Buddhist practice which literally translates to “seated meditation.” The mental benefits of Zazen are vast as one aims to forget all judgmental thoughts, ideas, and images. In the meditation, the focus is on breathing, and one mindfully observes thoughts without judgment. Zen meditation is much similar to mindfulness meditation. But at the same time, it requires more discipline and practice. It results in improved mental health. One gets sound sleep by the practice of Zen Meditation. Its regular practice results in mental clarity. As any other form of meditation will result, it also gives heightened awareness and creativity. Its practice will improve physical health. 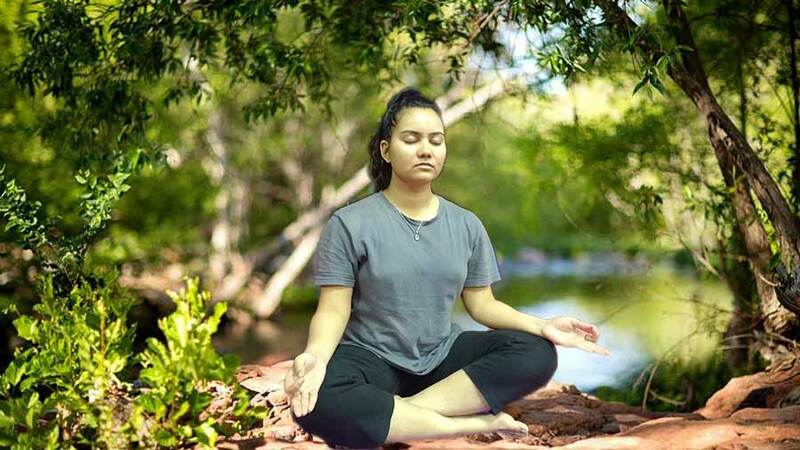 Transcendental Meditation is a specific form of Mantra Meditation, meant especially for spiritual gains and introduced by Maharishi Mahesh Yogi in 1955. Its goal is to transcend or rise above one’s current state of being. Transcendental form of meditation requires the practitioner to focus on a Mantra. The practitioner himself can choose the Mantra, but the chanting of a Mantra given by a Master (Guru) will yield best results. A personal mantra, which a practitioner might prefer to use in this form of meditation, is a positive phrase or affirmative statement that he will say to himself for the purpose of motivation or encouragement. For example, he might decide to repeat “I am not afraid of public speaking” while meditating. Improved brain function and memory. With so many forms of meditation available, and several subtypes in each of them, one can surely find a practice that suits him best. But it is always recommended to practice meditation under the guidance of a Master, who can best decide the form of meditation that suits the practitioner best and with whom he can connect with. This can make a huge difference in the practitioner’s journey of Meditation.